Hotel Arhontiko Liamas is the jewel of Stavros. 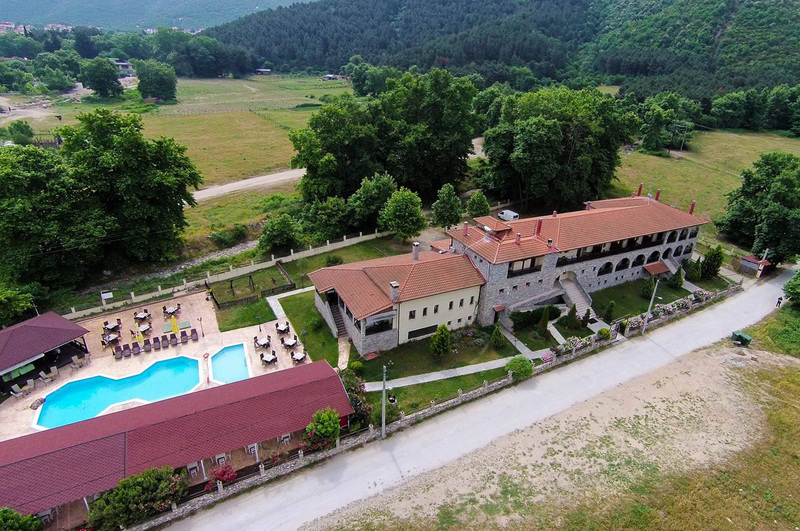 In our unit, you can relax and enjoy traditional Macedonian hospitality in an elegant and harmonious environment. Arhontiko Liamas offers 15 rooms, 5 mini-suites with fireplace and Jacuzzi and 1 superior suite with two rooms, fireplace and all amenities. Our rooms are fully equipped with TV and air conditioning. In Arhontiko Liamas facilities you can find swimming pools for adults and children, Spa facilities, Pool-bar, Café bar and restaurant with a wide variety of traditional dishes. Enjoy unique flavours in our restaurant. Many of our dishes brought by our grant parents (Asia Minor refugees) almost 100 years ago. They are made with fresh ingredients from local producers with excellent quality. Hotel Arhontiko Liamas is an ideal choice for the most important event of your life, your wedding. We offer a complete package that can satisfy all your desires.